British Invasion 50th Anniversary Tour Event home HamiltonThe PromNetworkTo Kill a MockingbirdKiss Me KateHadestownOklahoma! Why See British Invasion 50th Anniversary Tour? It's fifty years since The Beatles 1964 appearance on The Ed Sullivan Show sparked what would become known as 'The British Invasion', and now some of the leading lights of this musical revolution have joined forces for an anniversary tour. 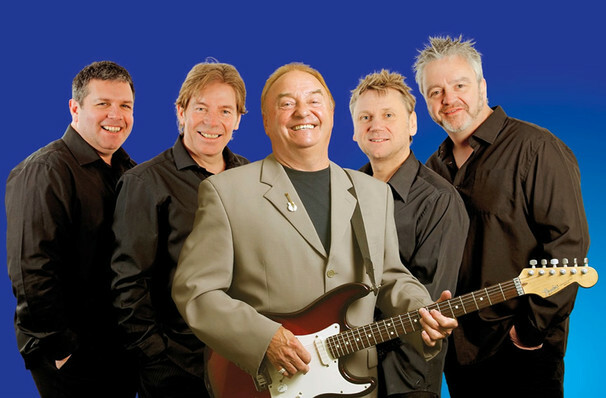 This special series of concerts is led by Gerry and The Pacemakers, who shared not only their home town of Liverpool with The Fab Four but manager Brian Epstein as well, and are best known for the tracks Ferry Cross the Mersey and How Do You Do It? 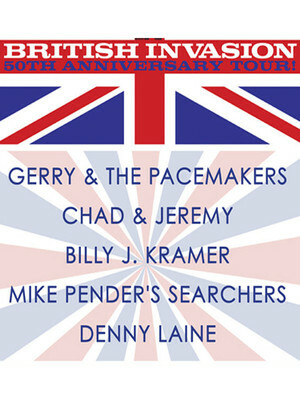 Among the other acts joining Gerry and The Pacemakers are Mike Pender's Searchers (Needles and Pins) and Chad and Jeremy (Yesterday's Gone). Sound good to you? Share this page on social media and let your friends know about British Invasion 50th Anniversary Tour at NYCB Theatre at Westbury. Please note: The term NYCB Theatre at Westbury and/or British Invasion 50th Anniversary Tour as well as all associated graphics, logos, and/or other trademarks, tradenames or copyrights are the property of the NYCB Theatre at Westbury and/or British Invasion 50th Anniversary Tour and are used herein for factual descriptive purposes only. We are in no way associated with or authorized by the NYCB Theatre at Westbury and/or British Invasion 50th Anniversary Tour and neither that entity nor any of its affiliates have licensed or endorsed us to sell tickets, goods and or services in conjunction with their events.